I’m feeling a bit guilty as I haven’t posted here since November last year. My intention, on retirement, was to do the sort of sociological research and writing I had been unable to do in my role of Principal Teaching Fellow at Leeds University. To this end I was appointed as a visiting research fellow for a year, due to end this coming July. Now I have just received a letter extending the fellowship until July 2016. In practice since retirement last July I have been mostly concerned in losing weight, getting fit, walking, cycling, racketball and reading novels. All of this of course may not be unconnected to a continuing career as sociologist. 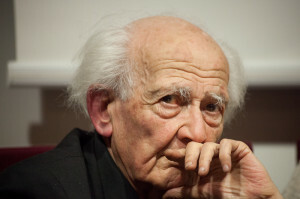 As Zygmunt Bauman has shown, literature is, to some degree or another, a combination of sociology and sociological material. Reading literature can be a conscious sociological enterprise. And of course getting fitter and healthier extends my opportunity to still do some interesting and, perhaps, useful work in my later years. There is the possibility that doing sociology in one’s twilight years, assuming reasonable retention of cognitive faculties and a continuing lively interest in the world and affairs, has some benefits for the nature and quality of the work. I am reading again David Frisby’s Fragments of Modernity in which he attempts to construct more explicitly the theories of modernity that are less systematically rendered or implicit in the writings of Simmel, Kracauer and Benjamin. At the end of his introduction Frisby says “all three, as outsiders, could experience modernity in a critical manner, they could all view their society as strangers”. The fact that many of the most original and productive sociologists have been outsiders to some extent, perhaps straddling two or more cultural borders, émigrés, exiles, is well known. One can think of Bauman, Elias, or Marx for instance. Other sociologist have detached perspectives on their society due to unconventional biographies of one sort or another. I think the ageing process can confer this state of outsiderness and stranger-hood on some sociologists too. In many respects we die alone, even if surrounded by loved ones. We can see the world through the eyes of someone with no axes to grind, no psychological investment in self delusion, with a degree of detached realism. Outsiders are more able to see the curtains that obscure the hidden mechanisms and processes of manifest reality and begin to pull them apart. We are able to reflect upon our own (witting and unwitting) complicity in maintaining the curtains and keeping them closed to others and to ourselves. In some respects ageing and a growing awareness of the imminence of death reintroduces a child like aspect to the experience of life. In an interview a few weeks before his death from pancreatic cancer, Dennis Potter attested to taking an intense delight in the ordinary and mundane aspects of life. Everything was intensified and imbued with a renewed sense of wonder describing, for instance, the spring blossom he sees from his study window as the most blossomest of blossom he had ever seen. Like a child, the dying can be keenly aware of and interested in the details and features of life that, by the involved and less reflective adult, are largely taken for granted or ignored. Like the child, the elderly in the shadow of the imminence of oblivion, can possess the highest degree of interest and appreciation of their social and physical surroundings. To some extent old age potentially for some, is the recovery of childhood but with the adult capacity for reflection, expression and the power of analysis.